Peterborough is not alone - similar increases are being seen across the UK. Prior to 2016/17 the number of households coming to us for assistance because they were homeless or threatened with homelessness was around 1,100 each year. That shot up to 1,586 in 2016/17 and has peaked at over 2,300 households in 2018/19. There are many reasons why, including rent increases, the reluctance of landlords to accept tenants on benefits, marriage break-up and domestic violence. We have to provide temporary accommodation and long-term housing for those we have a duty to and of course that is a massive cost to us. We’ve had some real successes as part of our work to reduce homelessness, which has been recognised by officers from the Ministry of Housing, Communities and Local Government. They visited us just a few weeks ago and were impressed with our progress on reducing the rates of homelessness overall and on increasing temporary accommodation in the city. In particular, the Ministry was impressed with how quickly the council reacted to rising homeless figures last summer and set about making the achievements that we have, including eliminating use of Travelodge accommodation out of area since December and reducing our use of B&B accommodation for families. We’re also making good use of existing temporary accommodation and creating additional temporary accommodation by buying homes across the city, working with private landlords and building with Medesham Homes. There was also praise for the leadership of senior elected members and senior officers. As a result we have been awarded over £325,000 worth of additional funding to prevent homelessness. 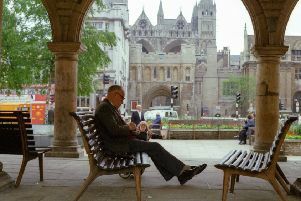 This is fantastic news and will help us to continue the good work that we are doing to reduce the number of homeless households in Peterborough, working closely with our partners. You may be aware that the council runs a reablement service, supporting people to stay in their homes for longer. The dedicated team helps people who have come out of hospital and need support with daily tasks, so they can regain independence in their own homes. The team is currently looking for new support workers, so if you like helping other people to enjoy life this is a really worthwhile opportunity. The council has a total of 10 vacancies for support workers in its reablement team, working between 16 and 35 hours per week. No previous experience is required, as full training will be given to new starters. Support workers are based in the community, visiting clients in their homes. They help people to learn techniques such as standing up unaided, dressing themselves and taking medication accurately. Further information on the role can be found at www.peterborough.gov.uk or by calling the reablement team on 01733 207207. Earlier this week, the council’s new trading company Aragon Direct Services took over Peterborough’s waste collection service from Amey. Residents should notice little obvious change, other than the new name as services will remain the same and continue to be delivered by the same dedicated team of frontline staff. We set up the company to give the council full control over the way we run our waste services, allowing us to operate more cost-effectively. Trading companies can compete for external business to generate income and by bringing the service in-house, we avoid paying management fees and profits to contractors. So this is an exciting opportunity giving us greater control over the performance and quality of the service, which will save us money and improve the look and feel of our communities. For those of you old enough to remember, Monday marked the 45th anniversary since the local government boundary changes which saw Peterborough become part of Cambridgeshire. Peterborough gained unitary status in 1998 which gave the city independence and self determination. Prior to this date there were parts of the city in Huntingdonshire, Northamptonshire and a number of different areas. It was a good move and I am sure you agree it makes sense for the city to be part of one county.